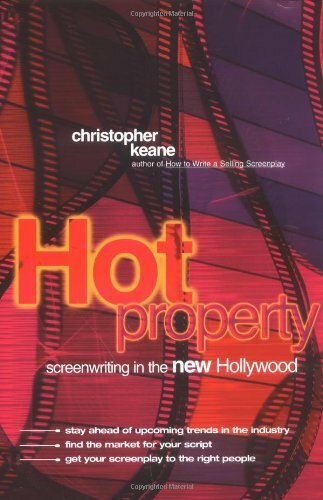 Christopher Keane is one of the few guys with a book that's also an actual working screenwriter. He pops up every once in a while over on the Done Deal boards, and gives really good advice... so, even though I haven't read this book, I'm sure it is filled with good information. Check it out! Just Starting Out? Click HERE for a selection of great Screenwriting Books that will help you get started. Written A Couple? Click HERE for a selection of great Screenwriting Books for the intermediate writer. Fine Tuning Your Script? Click HERE for a selection of great Screenwriting Books for advanced writers. Ready To Sell? Click HERE for a selection of Screenwriting Books on marketing your script. 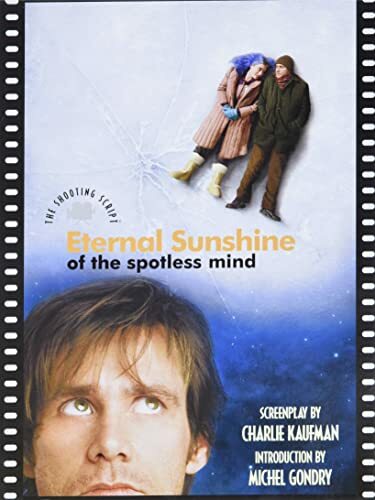 Charlie Kaufman is one of a kind. In this high concept script about love and loss and regret and causing permanent brain damage on purpose, he creates a fascinating sci-fi fantasy story about real people struggling with difficult emotions. Sad and optimistic all at the same time... just like love. BUY THIS BOOK! For more SCRIPT BOOKS click back there. Gaspard interviews the most influential indie directors of all time and asks them all the right questions - the result is a horse's mouth how to for making a film on limited funds with maximum passion. I read the galleys on this one and was impressed with how honest the answers were - David Lynch was basically homeless for a few years because he spent every cent he had on making his dream film, ERASERHEAD. 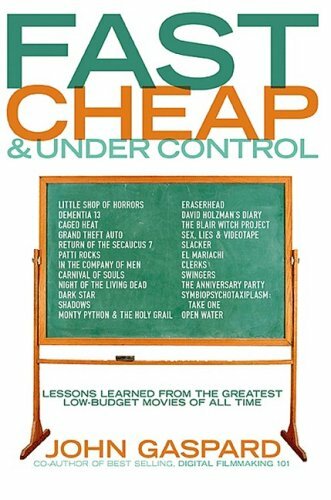 If you are planning on making your own movie, you need to read this book first! BUY THIS BOOK! 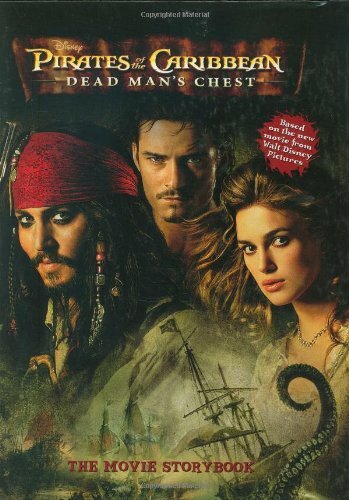 My friends Terry & Ted write this little movie you may have heard of called DEAD MAN'S CHEST. They've written all kinds of little movies you may have heard of, but this month we're going to focus on the PIRATES OF THE CARIBBEAN franchise with a couple of selections. This is the storybook, great if you have kids. Lots of pictures and the thrilling story of the film. I have no idea if they make anything from this book - my guess is not. But it's Pirate time again, so why not buy a copy? And if your thirst for Pirate booty hasn't been quenched, here's another book on the films. Here we look at the phenom of PIRATES, from the humble beginings as the ride at the theme park that had cleavage to the blockbuster movies. You may not know this, but Disney has a whole line of PIRATES novels for young adults. They are cashing in like crazy! And because it's based on an old theme park ride, the screenwriters probably don't get a cent. What's next? IT'S A SMALL WORLD: THE MOTION PICTURE? Learn all about the ride and the movies... the PIRATES ride, that is. For more MOVIE BOOKS click back there. Okay, this really isn't the hot DVD, this is just one of my strange cult selections. But you're probably wondering why. Okay, maybe a decade ago I was asked to speak at a directing class at Art Center Pasadena (where Roger Avary went to school). It was probably the first time I ever spoke about screenwriting. One of the students (Philip Cruz) started pestering me with e-mails... and he was funny, so we kept in touch. He wanted to make a fun exploitation flick, the kind of movie that used to play in drive ins. 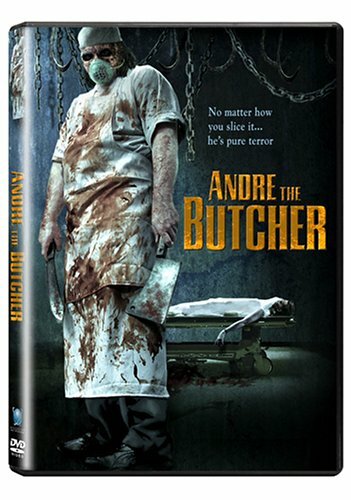 He put together the money and made this raunchy, funny, satire of horror flicks... featuring cheerleaders, escaped convicts and a serial killer with a recipe that requires human meat. I laughed all the way through. Grab a 12 pack and enjoy! BUY THIS DVD! For more HOT DVDs click back there. After years of collecting dust in some vault, Warner Bros has finally begun releasing all of these great old films. Most of them come from the RKO library, which Warners owns along with the MGM library. BORDER INCIDENT is topical these days because it deals with illegal aliens. HIS KIND OF WOMAN seems like *it* should be the project they created just to get Mitchum out of jail - it's light on plot, but packed with Mitchum. THE RACKET is a great little crime film... but the real finds in the box are LADY IN THE LAKE and one of my favorite films ON DANGEROUS GROUND. LAKE is based on the Chandler novel and stars Robert Montgomery (Elizabeth's dad) as Marlow... except you hardly ever see him. The books are all from Marlow's POV... and so is this film! It's told completely through his eyes, so you only see him when he looks into a mirror. An interesting experiment. ON DANGEROUS GROUND is one of the greatest cop flicks ever made - Robert Ryan is a *violent* New York cop whose fists get him transferred to a small upstate town to cool off. As soon as he gets there, there's a murder... and he's ready to beat a confession out of any small town guy he can find. But the number one suspect is the missing brother of a blind woman (Ida Lupino) and his growing relationship with her makes us wonder how he will deal out "justice" when he catches up with her brother. This film features one of Bernard Herrmann's greatest scores - and it has a lot of competition. This is a great box set if you're intersted in the genre. When I grow up, I want to be Larry Cohen. He has the greatest career of any screenwriter, and some of the most interesting films ever made s a writer-director. I first discovered his work in the great thriller DADDY'S GONE A HUNTING - anyone who would put a baby under the wheels of a parked car and wait for the mother to drive over it is just a sick genius. Then I saw IT'S ALIVE on a double bill with something - maybe HALLOWEEN. Larry wrote and directed the film - about some drug side-effects that turn babies into monsters... the film looks at both abortion issues and parental responsibility... and it features a killer baby! 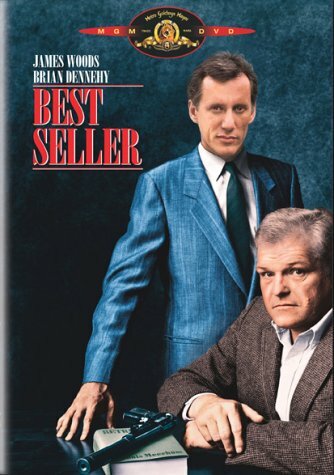 Recently he's written PHONE BOOTH and CELLULAR, but in 1987 he wrote this gem... BEST SELLER is about an ex-cop turned crime novelist (like Joseph Wambaugh) (Brian Dennehy) who is approached by a mob hit man (James Woods) to write a tell-all. Of course, the mob doesn't want a tell-all, and very bad things ensue. 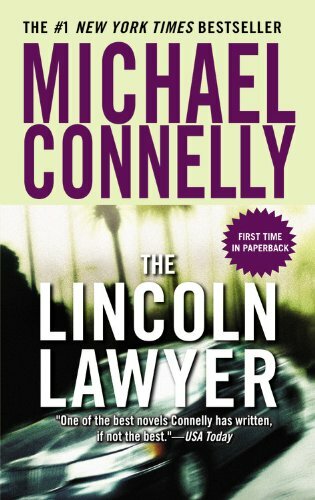 Violent, intense, and overflowing with suspense, Cohen manages to tell a story that's half Hitchcock and half GOODFELLAS. This is mainstream Cohen at his best. For more MY FAVORITE MOVIES click back there. Thirteen years ago, Scott Smith wrote one of the most intense thrillers ever put on paper... and later film... A SIMPLE PLAN. 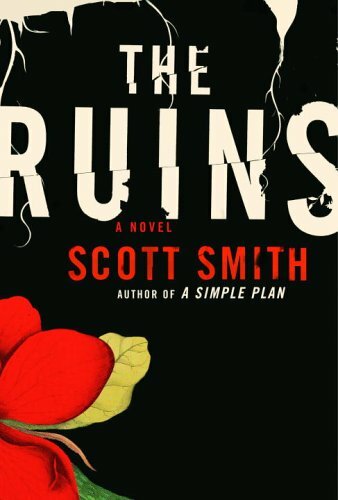 Now he's back with a new book that made the top of Stephen King's reading list: THE RUINS. Four American friends on vacation in Mexico befriend a German tourist and agree to help him find his missing brother. Hey, it'll be an adventure! But when they enter the jungles of Mexico, nothing goes as planned nd the adventure soon turns into sheer terror. Again, Smith takes regular people and thrusts them into situations where their friendship may get in the way of their survival. What they decide to do takes us into the very heart of their characters. BUY THIS BOOK! For more HOT NOVELS click back there. Though I have no memory of Michael Connelly from the "kid's table" at Mystery Writers Of America SoCal meetings, he hung out with the beautiful and talented Jan Burke... as did I. So maybe we talkled a couple of times... I've read all of his books. BUY THIS BOOK! For more MY FAVORITE BOOKS click back there. Maybe it's because I have a touch of gray in my hair, but I'm huge Doors fan. I grew up listening to them, and between the amazing keyboard work, guitar work... and downright strange lyrics ("there's killer on the road, his brain is squirming like a toad"), they are hard to ignore. 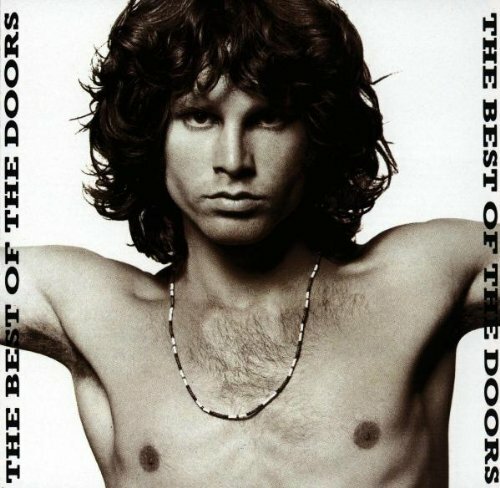 One Doors song, like LIGHT MY FIRE, could be both hard thrashing rock and easy listening melody. Here is the remastered Best Of album, featuring 18 of their best hits. And this ways back when bands had so many hits that they could have some "hits" albums and then select the "greatest hits" from their hits! 1. Break On Through, 2. Light My Fire, 3. The Crystal Ship, 4. People Are Strange, 5. Strange Days, 6.Love Me Time, 7. Alabama Song, 8. Five To One, 9. Waiting For The Sun, 10. Spanish Caravan 11. Hello, I Love You 12. Roadhouse Blues, 13. L.A. Woman, 14. Riders On The Storm, 15. Touch Me, 16. Love Her Madly, 17. The Unknown Soldier, 18. The End BUY THIS CD! To continue our PIRATES theme, how about... the PIRATES THEME? Here is the Hans Zimmer score to DEAD MAN'S CHEST - rousing, exciting, romantic. Music to swashbuckle by (whatever that means). 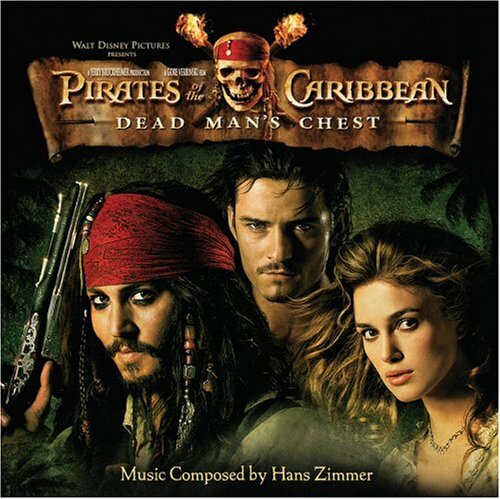 Zimmer always seems to me like he's trying to bridge symphonic and electric and create music that is both traditional and modern - the DEAD MAN'S CHEST score manages to give us the feel of a classic big pirate movie without sounding like an old Korngold score. 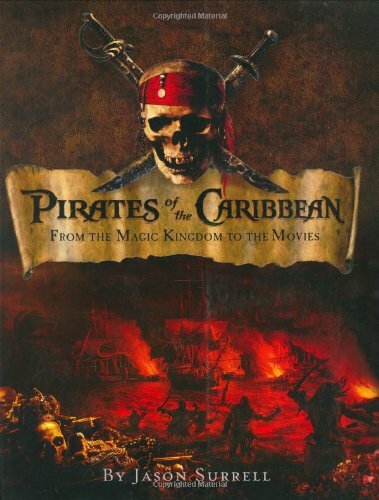 If you left the cinema humming the theme to PIRATES, you need this CD! BUY THIS CD! For more HOT MUSIC click back there. 4 Discs... 40 years... 56 film scores... From James Bond to the 70s version of KING KONG (one of my favorite Barry scores) to THE DEEP to ROBIN & MARION. 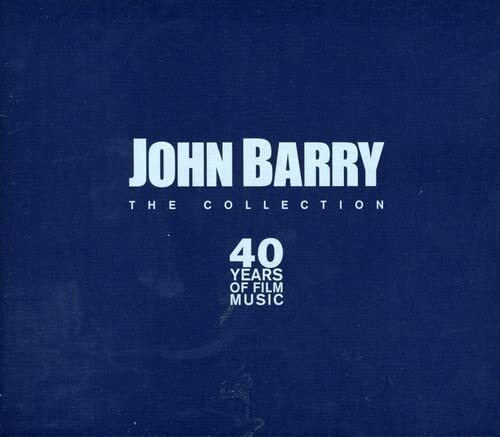 John Barry has scored some of my favorite movies, nd probably some of your favorites, too. Can't stop humming the OUT OF AFRICA music? That was his. Love all of those classic James Bond theme songs and scores? He wrote those... along with the Bond Theme that has been used in every film. From DR. NO to LIVING DAYLIGHTS, he gave Bond his music. Known for his erly jazz scores (Barry began as a jazz musician and composer) he evolved into a composer of lush orchestral scores - if your movie had beautiful panorama shots, you needed Barry's music behind them. Because Barry composed so many great scores for so many great films, there's no way you can fit all of his best work on 4 overflowing CDs... but this is a great sample of his most memorable work. BUY THIS CD! For more MY FAVORITE MUSIC click back there.